High quality serial machining and assembly services. We provide high-quality machining and assembly services for the international engine and machine industry. When you choose us, you’ll know every unit works! Our equipment, production methods and experience represent the highest quality, technology and expertise. Our uncompromised northern dedication completes even the most demanding work. JMC Engine operates as a world-class contract manufacturer offering component manufacturing and system assembly services that require high automation and profound knowledge and expertise in metal machining. Our service covers all units through machining, deburring, pressure testing and assembly – from supplier network to personnel and proudly finished end products. We serve our customers by effective management of the entire production chain, which includes the subcontractor network, acquisition of materials and services, production and manufacturing methods, and assembly services. Our emphasis on continuous development guarantees the effectiveness of the entire process. A transparent service is the key to a trust-based partnership. We are your one-stop shop – from sourcing to production and assembly. You specify the machining and assembly settings required. We get it done, at the right time and with the right quality. We want to be proud of our work and improve ourselves constantly. We believe you are the same. An open partnership ensures better reliability! Our long-term partners appreciate our openness. Our hard work ensures our partners can trust us and focus on developing their own business operations. When our partner succeeds, JMC Engine succeeds! Our business idea is to help our partners prosper. The goal of cooperation is to improve our partners’ competitive position in the international markets. Maintaining a modern and efficient machine equipment is our top priority. We improve our machine and tool expertise systematically so that we can always offer the most optimal solution for our customers. By using of robots we ensure the most effective handling of products and processes in production. Quality is paramount to us and it’s in the core of everything we do. The quality of our operation is proven every day in products that fulfill even the most demanding quality standards. 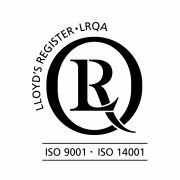 Our quality system is certified and we recognise our environmental responsibilities. We require our suppliers to be on the same level.